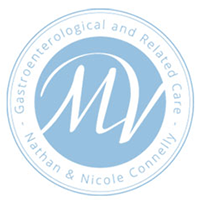 At Moonee Valley Specialist Centre medical consulting is a one-on-one discussion and preliminary medical examination with our gastroenterologist, Dr. Nathan Connelly. All medical consultations must be arranged via a referral from your general practitioner (GP) or other medical specialist. Dr. Connelly’s main areas of specialty include gastroscopy, colonoscopy, flexible sigmoidoscopy, haemorrhoid banding, capsule endoscopy and polypectomy. He also treats conditions such as inflammatory bowel disease, coeliac disease and liver disease. Our team of highly qualified associates will be called on for additional expert diagnoses and treatment, when necessary. A medical consultation with Dr. Connelly will allow him to ask you questions and conduct a physical examination to work out what is causing your gastrointestinal or related condition.